Don’t forget this great event is running this coming Sunday in the Mount Errigal Hotel, Letterkenny from 1-5 pm. Make it a family day out. 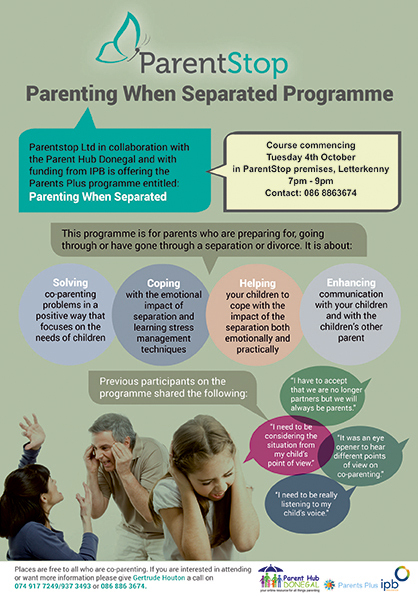 Many of the Parent Hub member groups will be there on the day to provide information on supports available to parents in Donegal. Bump and Beyond Event taking place Sunday 30th October in the Mount Errigal Hotel, Letterkenny. Bump & Beyond is the ultimate Pregnancy, Baby and Family event in the North West. Information, Education, Shopping, Fashion, Entertainment, Safety and Family Fun. The Parent Hub Members will be there in force. Come along and meet us on the day.